It happened again. 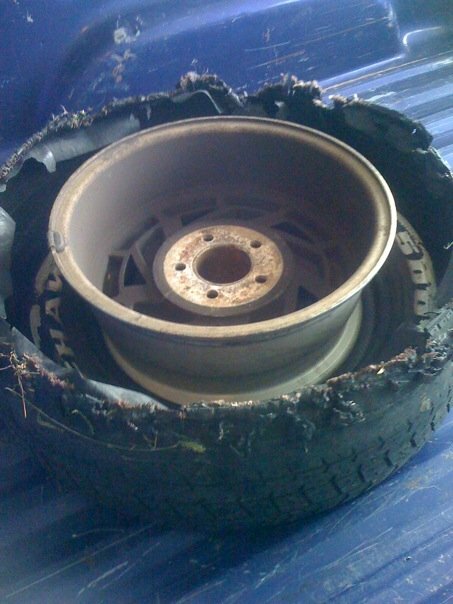 I let my tires get to the point of no return. My car lit up with the indicator that said my right rear tire was low on air. It wasn’t just low. There was a hole in it; a chunk was gone. I had worn it down to where it wasn’t safe to drive. My last flat was last month, the day after someone busted out the window to get my iPod. The time before that was when a screw lodged its way into my front passenger side tire, just months after I bought it. Can someone please remind me the next time I try to make my tires last for 66,000 miles?